The glory of Florence is rooted in its past. The political dynasty Medici commanded the city's fortunes for centuries, and encouraged the city’s Renaissance. Florence is rich with formidable galleries, treasure-crammed churches, sculptures, paintings and architecture, all of which attest to its artistic and cultural past. 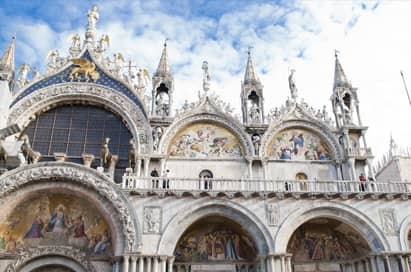 The Medicis also sponsored philosophers and artists such as Botticelli, da Vinci and Michelangelo, making this compact city an ideal choice for school trips, especially for groups wanting to explore some of the great art treasures of the world. 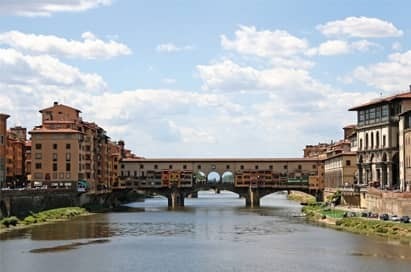 A sightseeing tour of Florence on foot will offer the opportunity to see all its main attractions including the Piazza della Signoria, the Duomo and the Ponte Vecchio. An experienced guide will give information on the history of the city and will be able to answer any questions you have on the city and its buildings. This gothic looking church was built in 1337. The extraordinary structure testifies to the historic evolution of the city, which once served as a granary in the gardens of the Sisters of San Michele during Florence's mercantile period. Take a trip to discover Tuscany’s medieval past. San Gimignano, is a small walled village famous for its fascinating medieval architecture and 14 towers that rise above all the other buildings offering an impressive views of the city and surrounding valley. Siena is likely Italy's loveliest medieval city. Built around the Piazza del Campo, it was devised as a work of art that blends into the surrounding landscape. 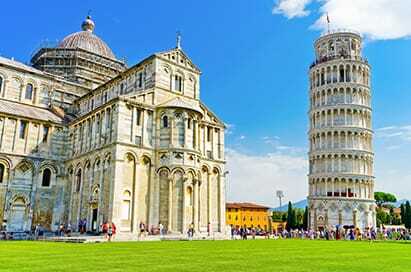 Pisa is best known for it’s leaning tower and is a real must see for any trip to Tuscany, but the city also has Romanesque buildings, Gothic churches, Renaissance piazzas and a lively street life making it the ideal stop. Nearby Lucca with its famous walls shields one of Italy's finest mediaeval treasures, an unspoilt site sprinkled with palazzi, towers and countless splendid churches. The surrounding hills produce some excellent wines and arguably, the finest olive oil in the entire world. Situated in the centre of the Apuan Alps' Natural Park, this is one of the most complete European caves. Following illuminated and easy-going trails, you can admire the many wonders of the underground world: from shining stalactites and stalagmites to polychrome flowstone, alabaster draperies, crystal-brimmed lakes, underground water-courses and bizarre forms of erosion. Take a sightseeing tour around this fabulous city. Occupying 117 islands in the azure waters of the Adriatic, this lagoon city is a watery maze of grand canals, 177 smaller canals, over 400 bridges and the world's most famous sandbar, the Lido. Though thoroughly walkable, getting around Venice is a mesmerizing experience aboard the city's variety of public transport boats, the vaporetti or smaller (and more expensive) motoscafi. The “magic and mysterious” city of Volterra has its roots in three thousand years of history. It is possible to find evidence and traces from every historical period, which gives the artistic city a unique aspect. Explore the 12th century city walls, narrow streets, palaces, tower houses and churches. Known primarily as the birthplace of St. Francis (1182-1226 AD), Assisi has been a sacred town since long before the Franciscan era. Visitors can enjoy stunning architecture, well know artistic works and medieval and Renaissance culture.